Online Pokies Site will collect general data while our Aussie players visit our site. Players over the age of 18 may visit our site according to Australia’s Gambling Laws. Therefore, anyone under the age of 18 is not legally allowed to visit our site. Except for the above reasons, player information will never be used by our team or affiliates. For your safety, we make use of encryption technologies to scramble any details shared with us. Unless you have contacted us here, we will never reach out to you. Our site will also never require you to sign up to use our services. Online Pokies Site can change any information provided here without notifying you beforehand. We strive to provide detailed, accurate and fair information at all times to Australian players. However, we know that sometimes our content may be out of date. Our team will always try to ensure our content is updated regularly for your convenience. Unfair comments about games, providers or casinos. Complaints about an online pokie reviewed by our team. Online Pokies Site is a free casino guide, meaning that we will never contact players for money. We will never contact Australian players except if it is a response to a complaint or comment. 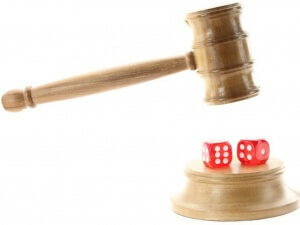 Any reviews written by and published on Online Pokie Site are the educated opinions of our expert players. Our casino and online pokie reviews are carefully researched and checked. Any information we provide can be found at the online casino’s website as well as the software providers.